But I didn’t realize that even the Railways felt the same way! 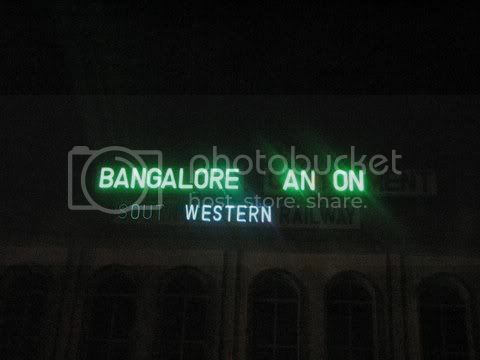 The Cantonment station proclaims, "Bangalore Anon"…Anonymous, indeed, are the passengers who pour in and out through this station every day. And I thought its some kind of a Bangaloreans Club 🙂 Good Spotting.